Leadership at the top of both major political parties is undergoing incredible change and politicians need to find a message that speaks to the American people. 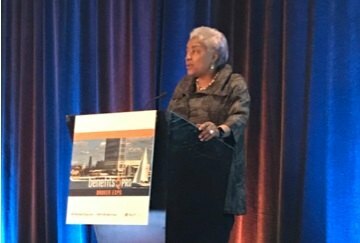 Today’s political landscape is undergoing seismic shifts, Democratic political strategist Donna Brazile told attendees during a keynote address yesterday at BenefitsPRO Broker Expo. “Incredible change is taking place in Washington, D.C. and 2018 is shaping up like 1994,” Brazile said.